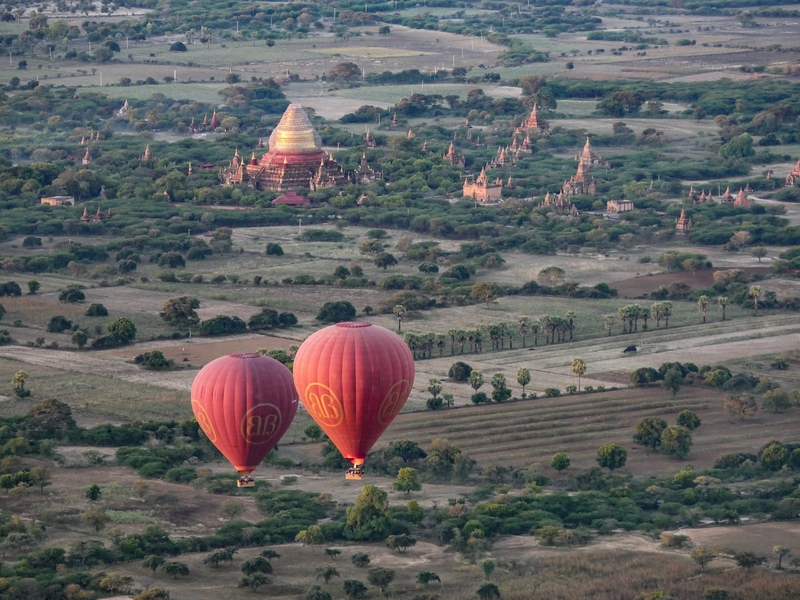 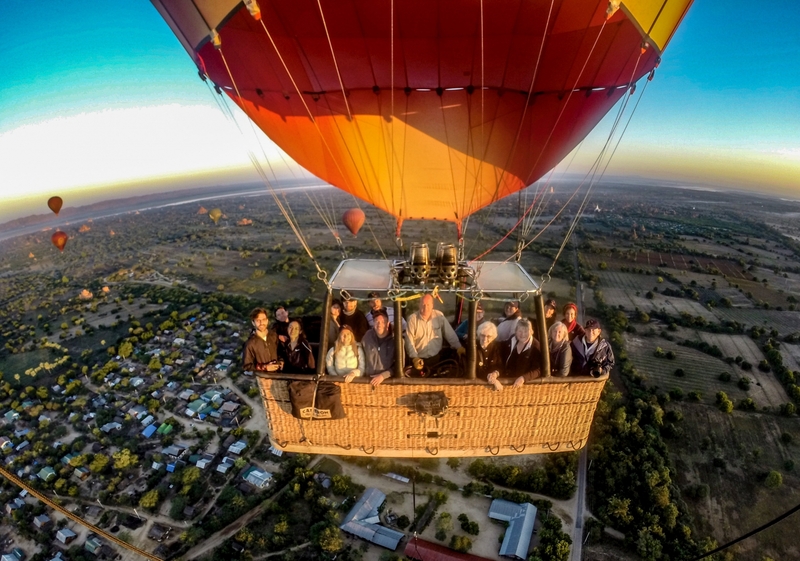 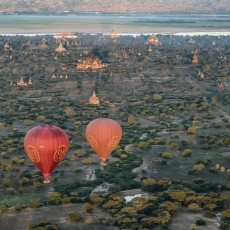 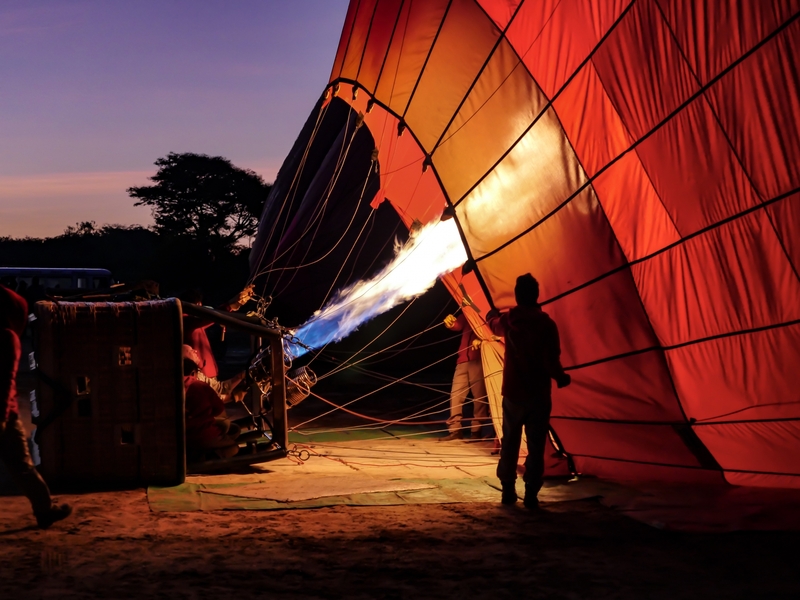 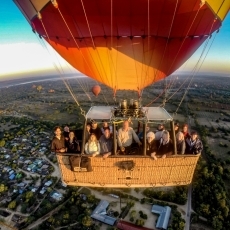 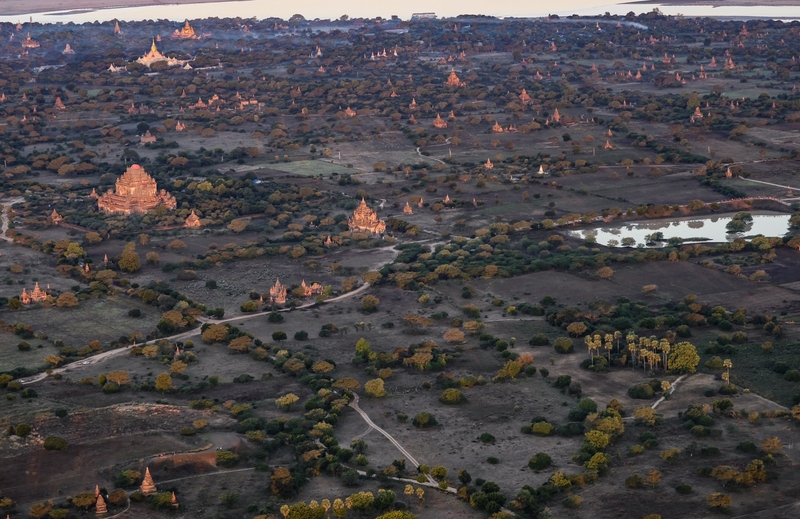 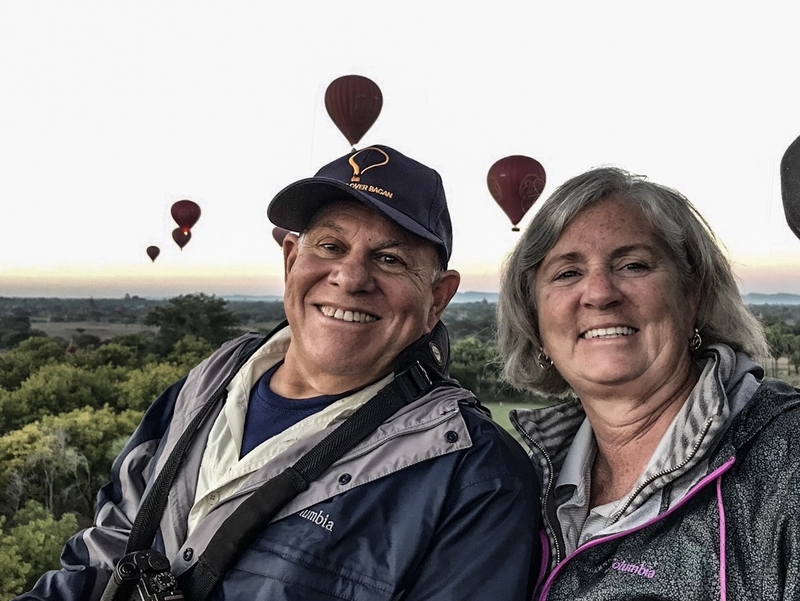 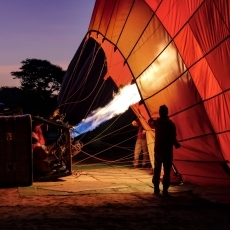 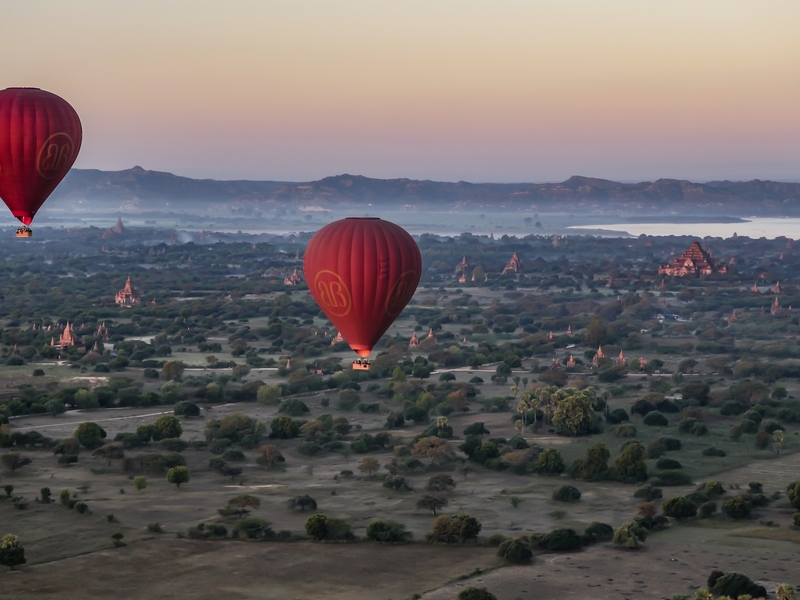 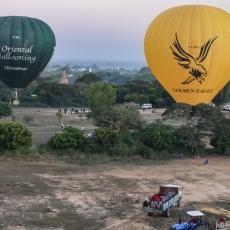 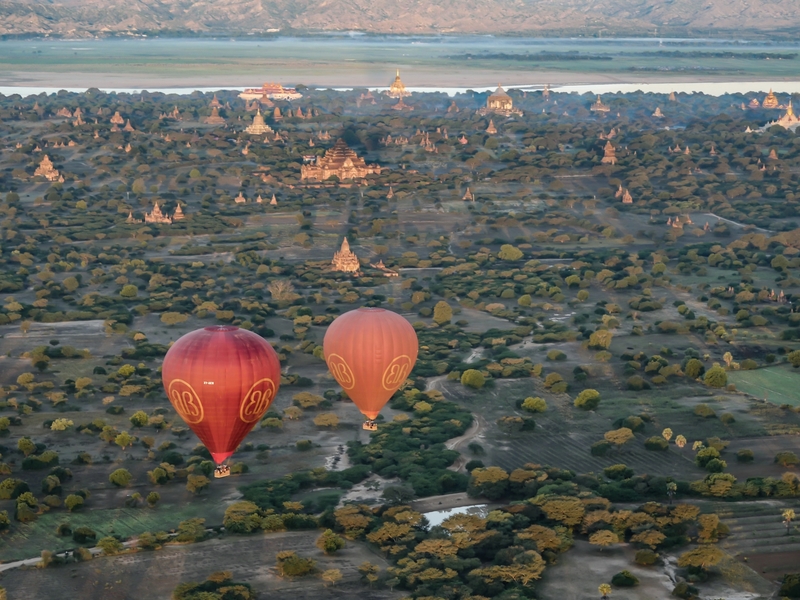 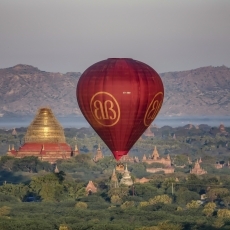 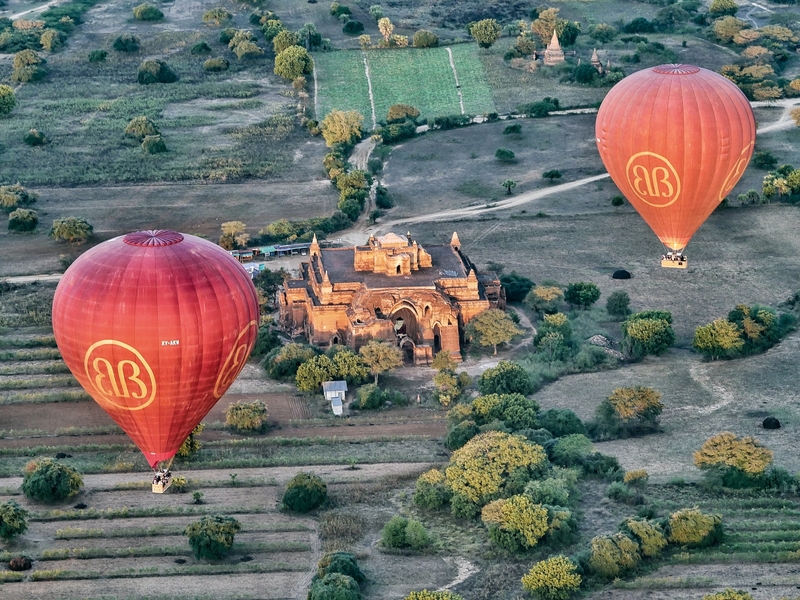 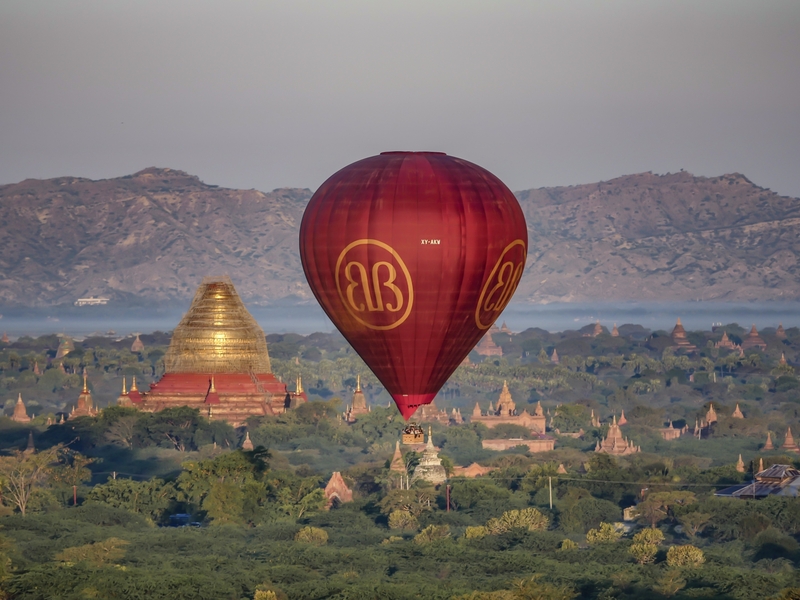 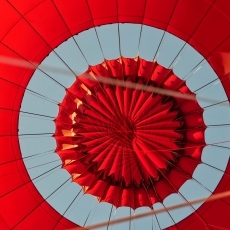 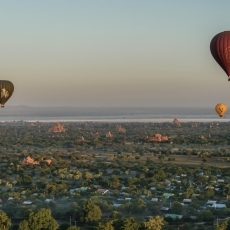 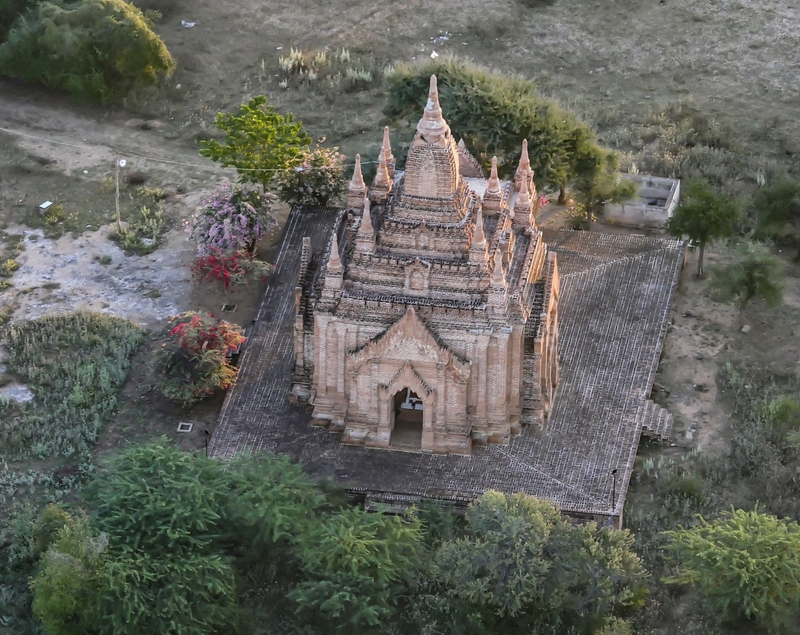 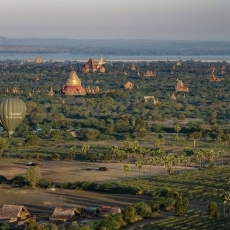 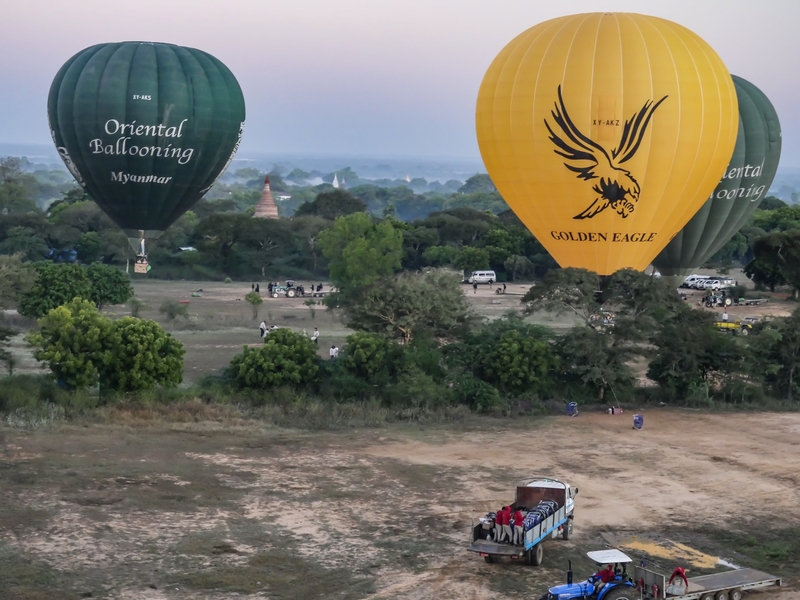 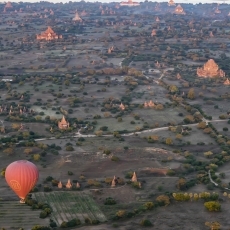 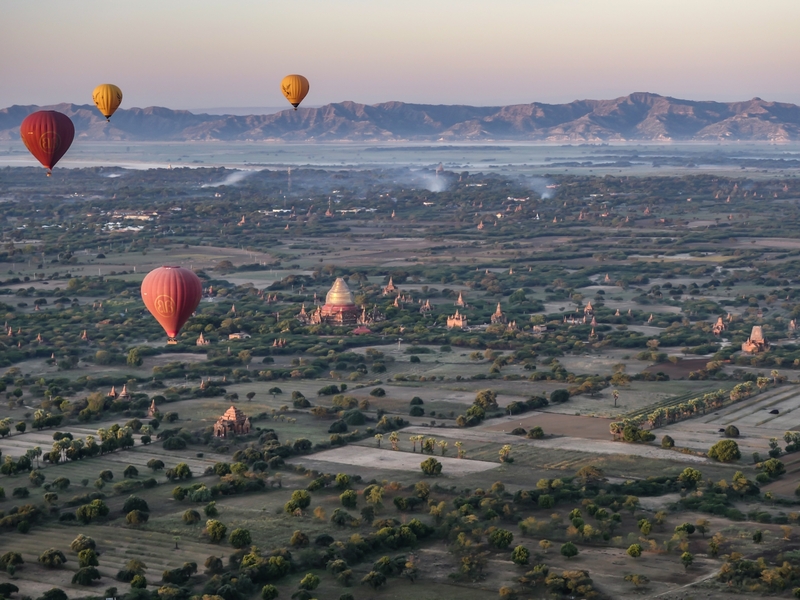 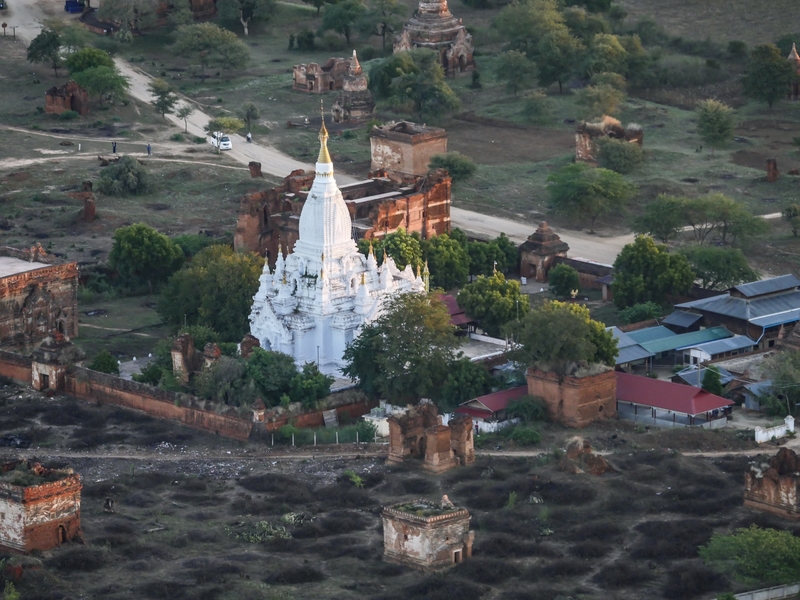 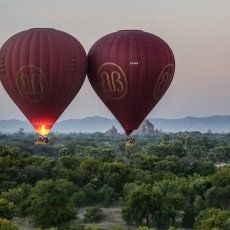 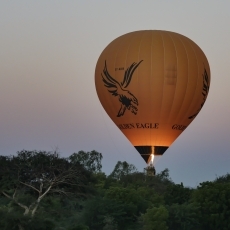 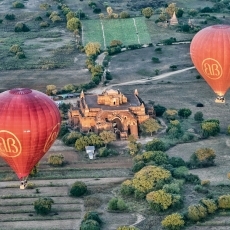 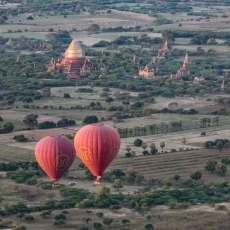 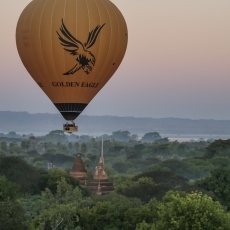 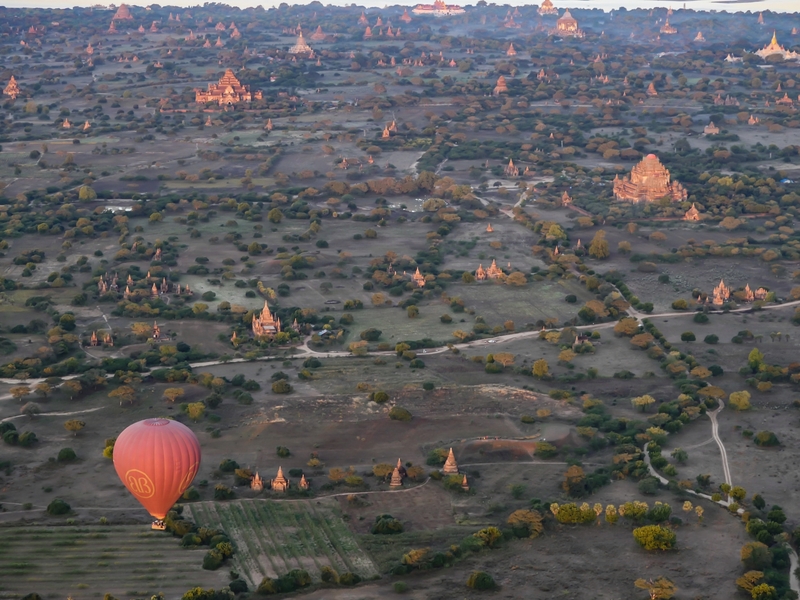 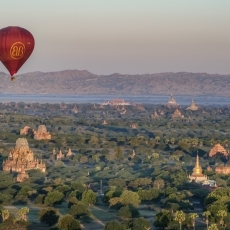 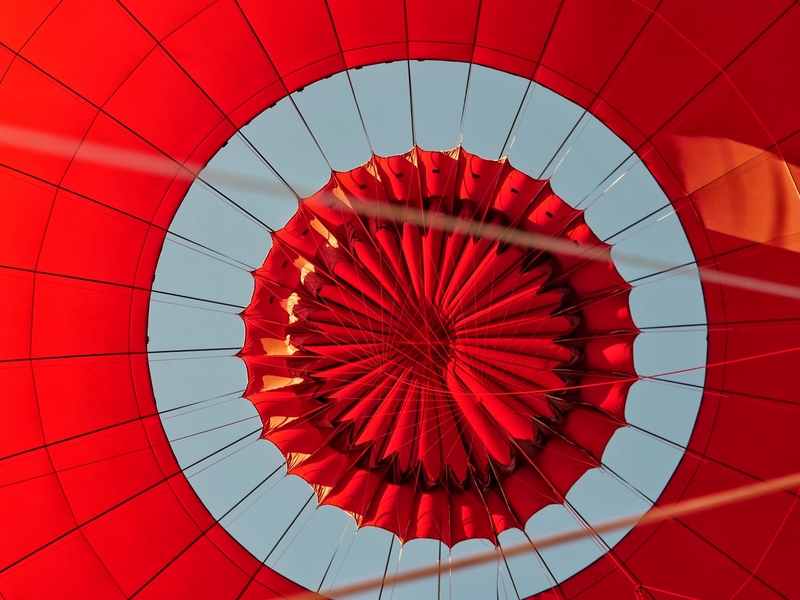 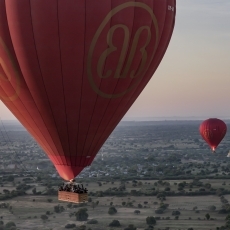 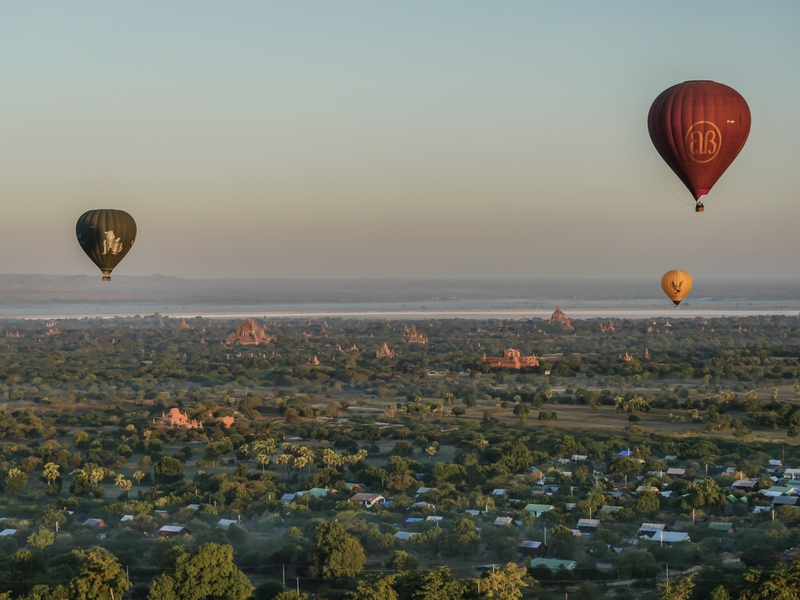 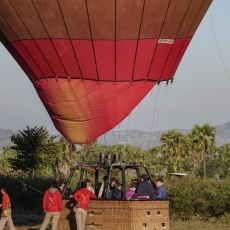 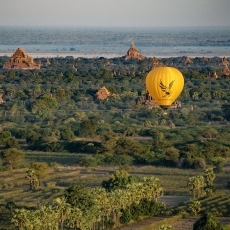 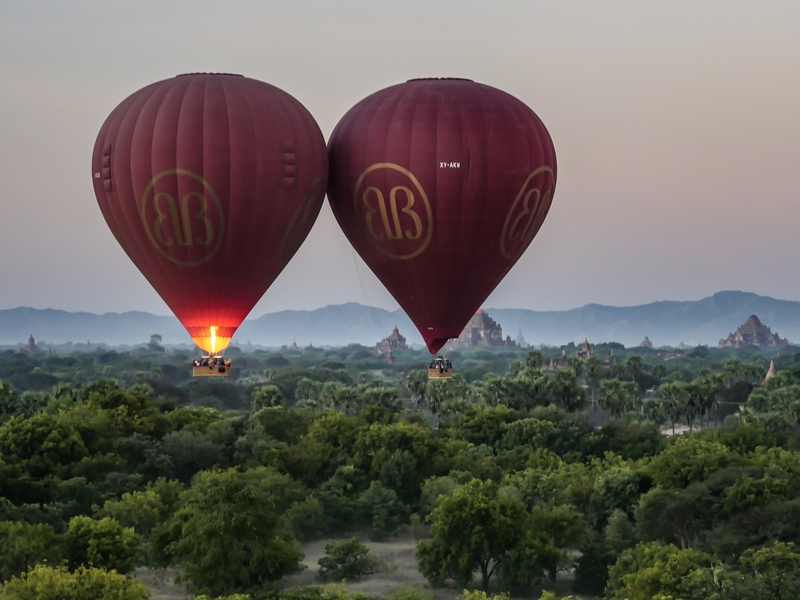 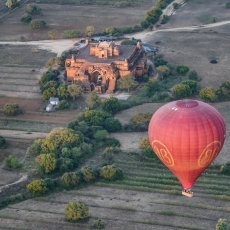 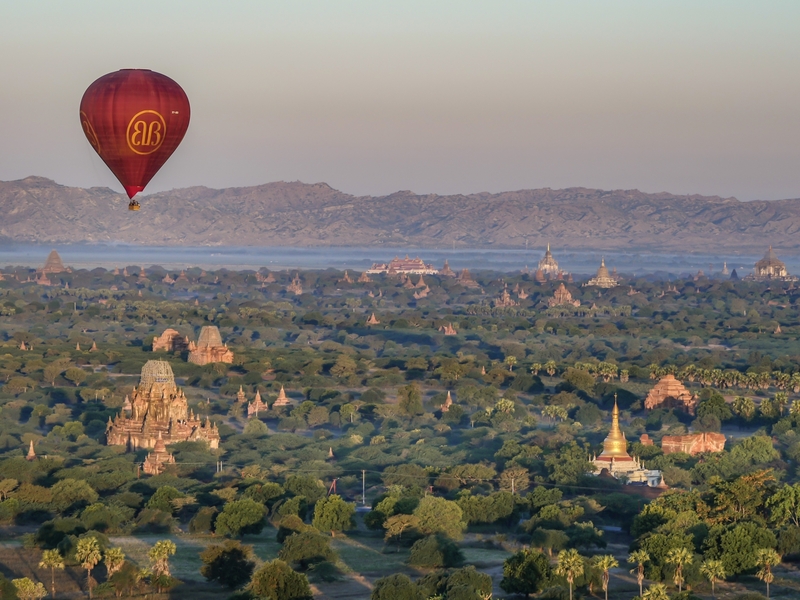 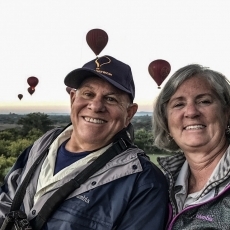 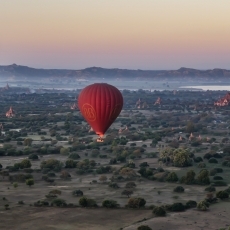 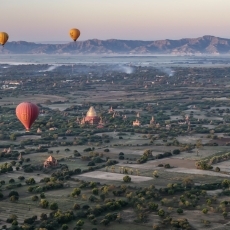 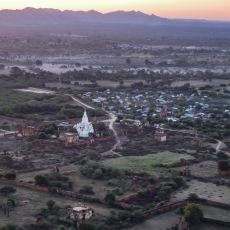 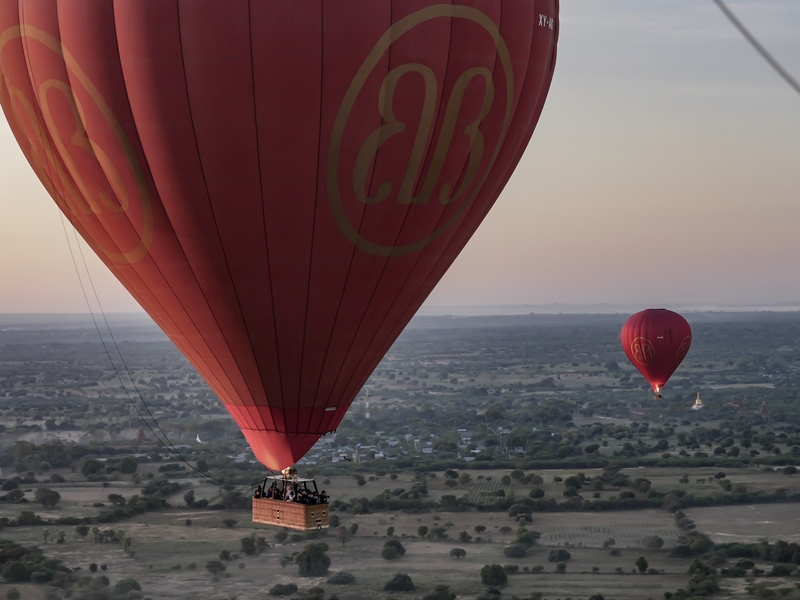 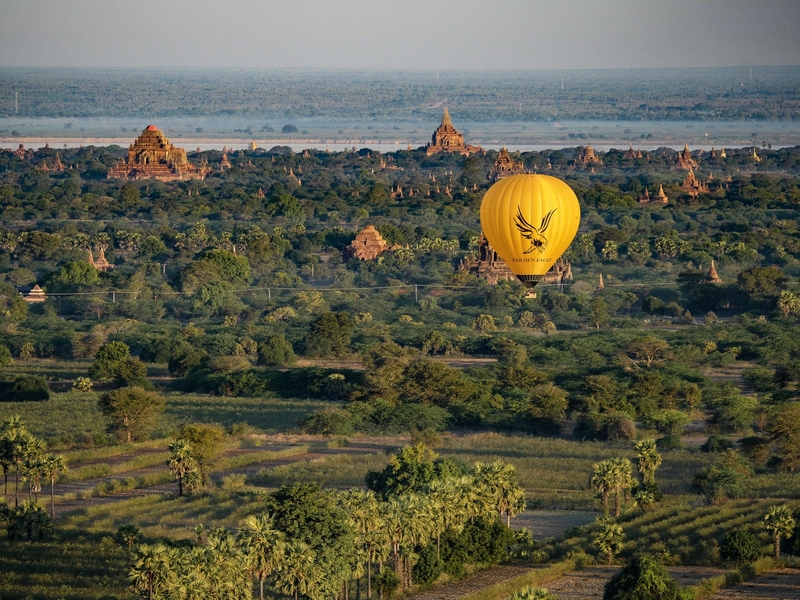 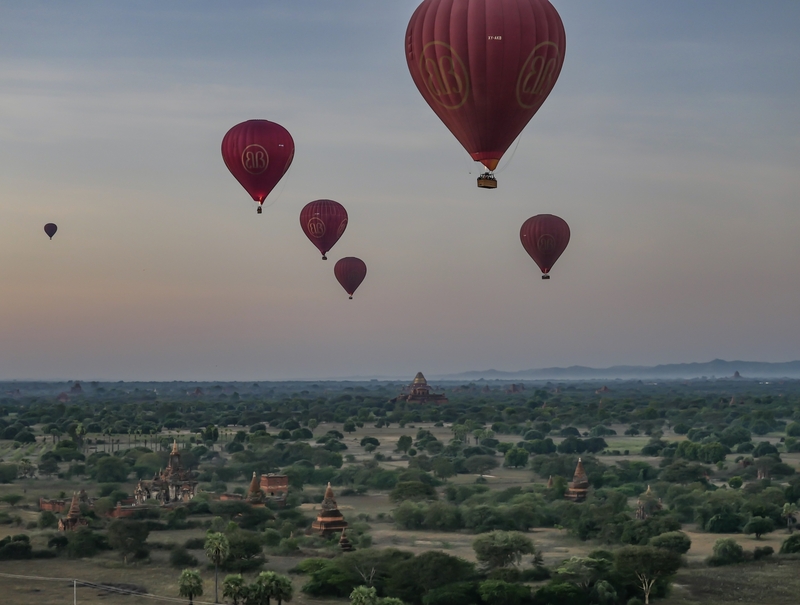 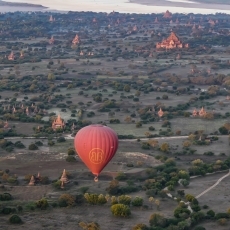 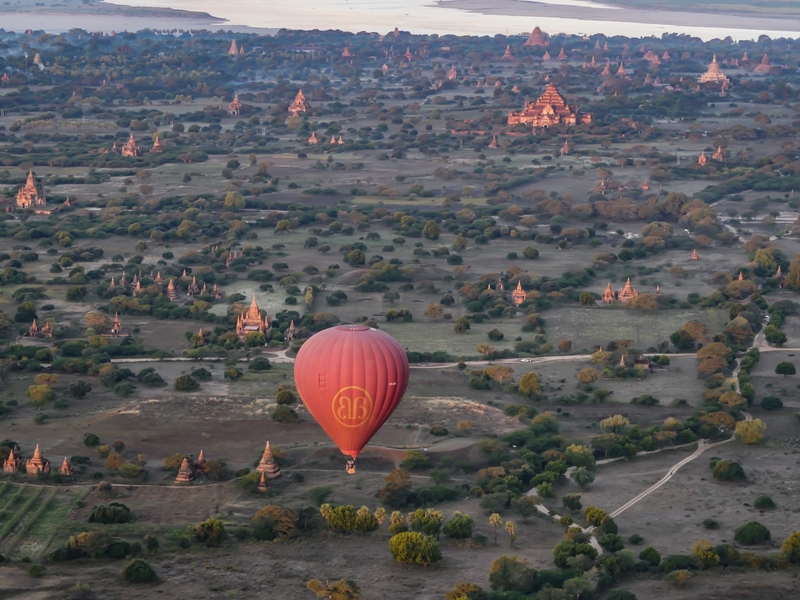 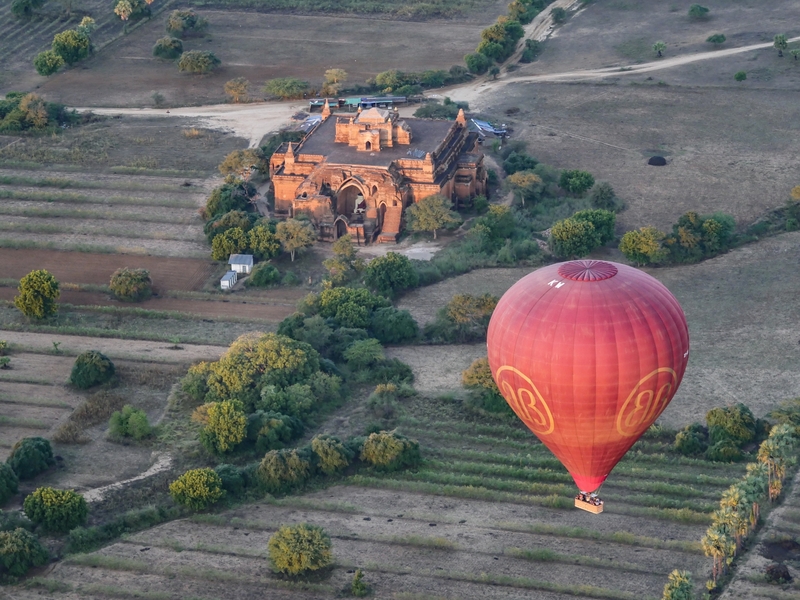 Few travel experiences compare with flying over Bagan in a hot air balloon. 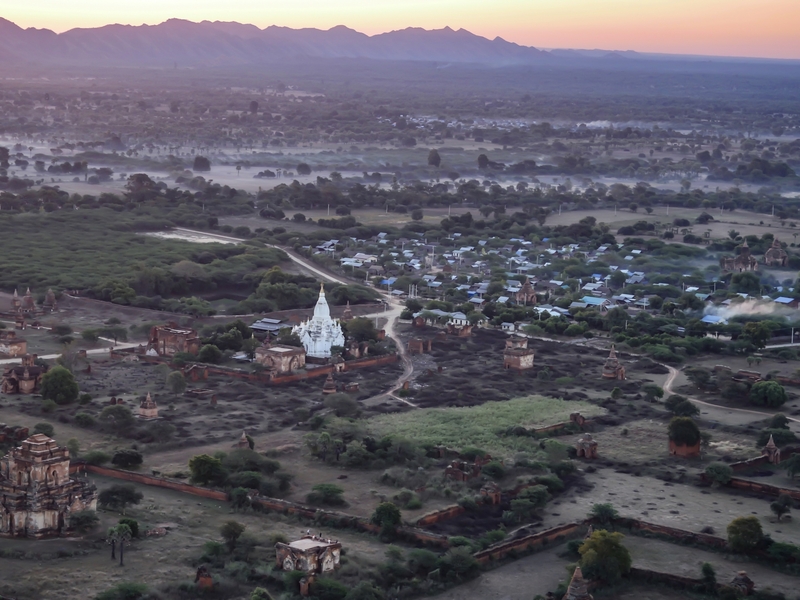 With over 2,200 temples and pagodas, there is no better way to take in the incredible history spread across the plains of Bagan. 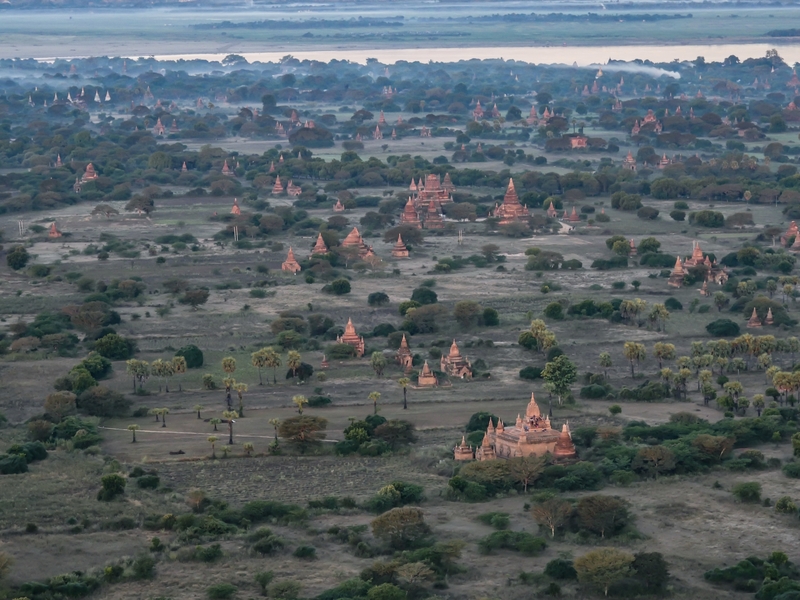 The layers of wind push us past Buddhist monuments built between the 10th and 14th centuries; the spires of thousands of pagodas spread in the distance and the Irrawaddy River appearing in the west. 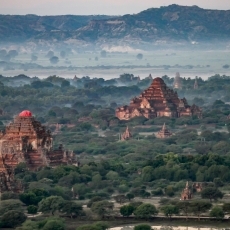 Once the sun was up, the temples and pagodas were set ablaze by the golden rays of the sun. 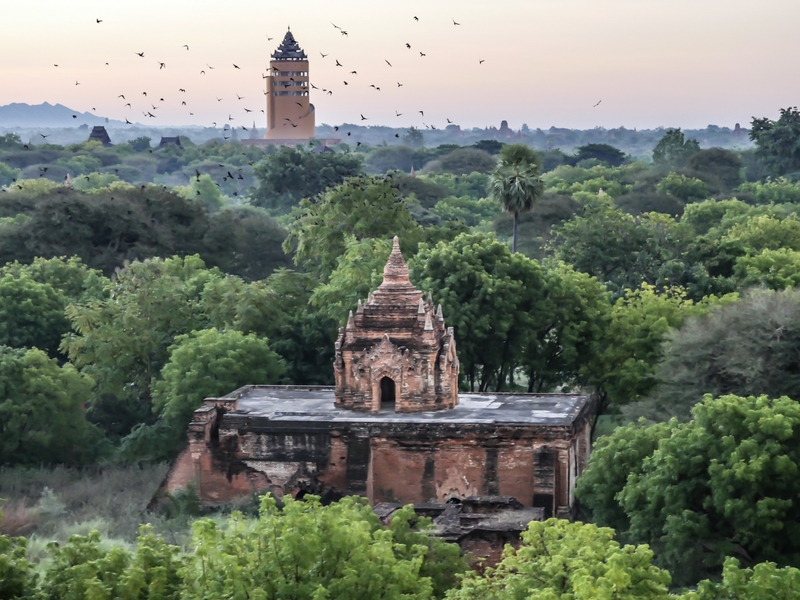 Ranging from magnificent large complexes to tiny, crumbling structures, as well as those buildings experiencing restoration work. 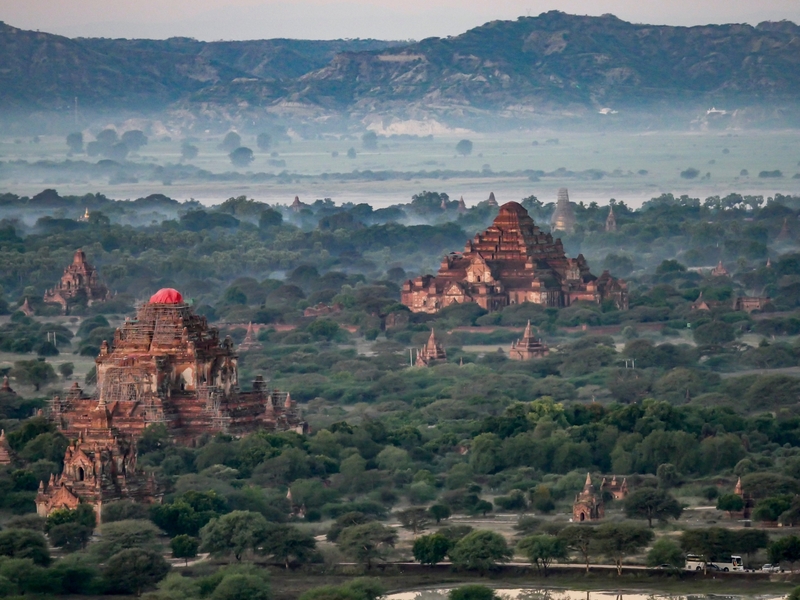 Who knew that bamboo scaffolding could be so beautiful? 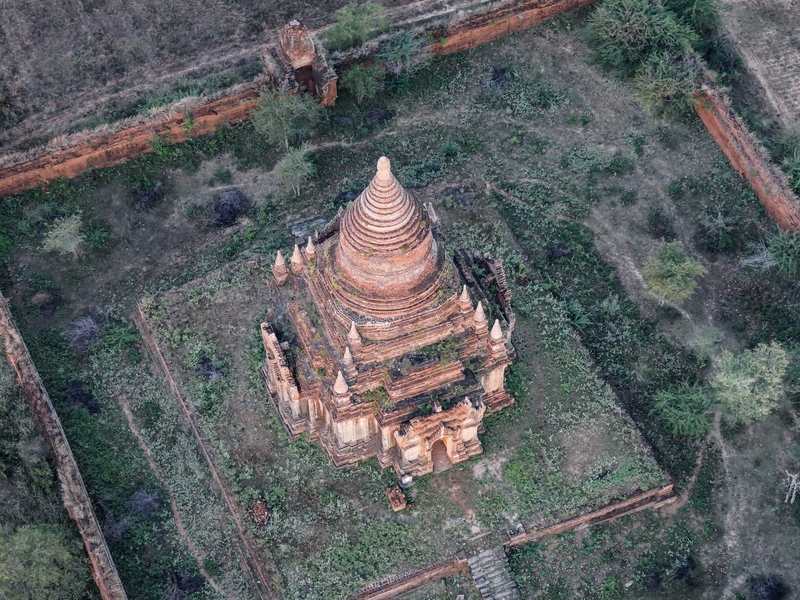 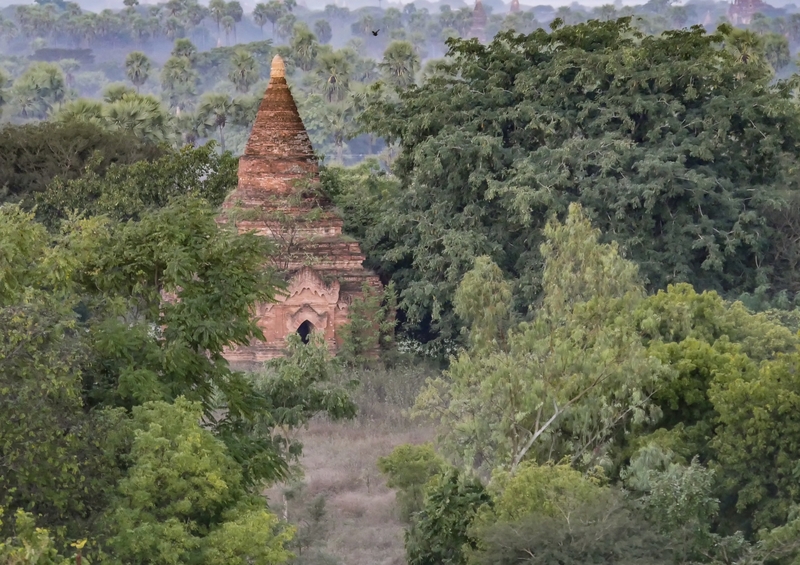 The temples and pagodas are the final markers of what was once a thriving kingdom. 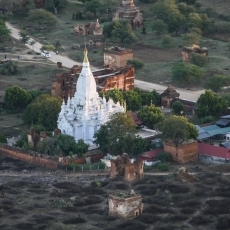 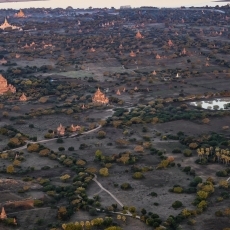 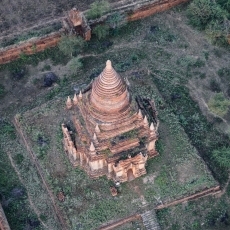 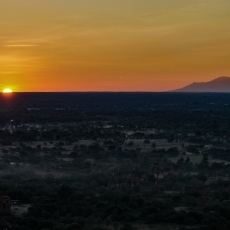 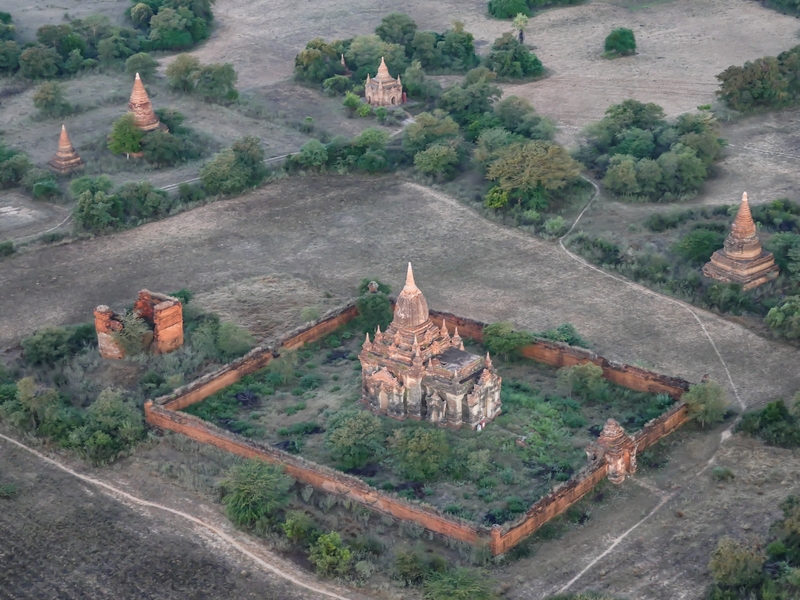 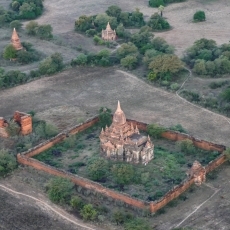 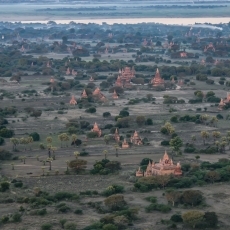 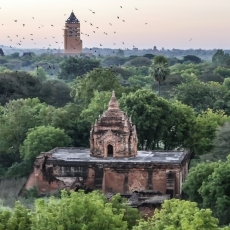 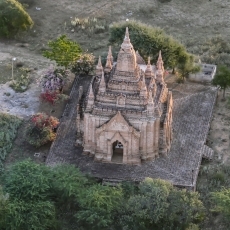 The plains of Bagan, covering 26 square miles, are home to the largest concentration of religious buildings in the world and, in addition to the religious and spiritual significance, the region holds special meaning for archaeologists, historians, seismologists, architects, linguists, and artists. 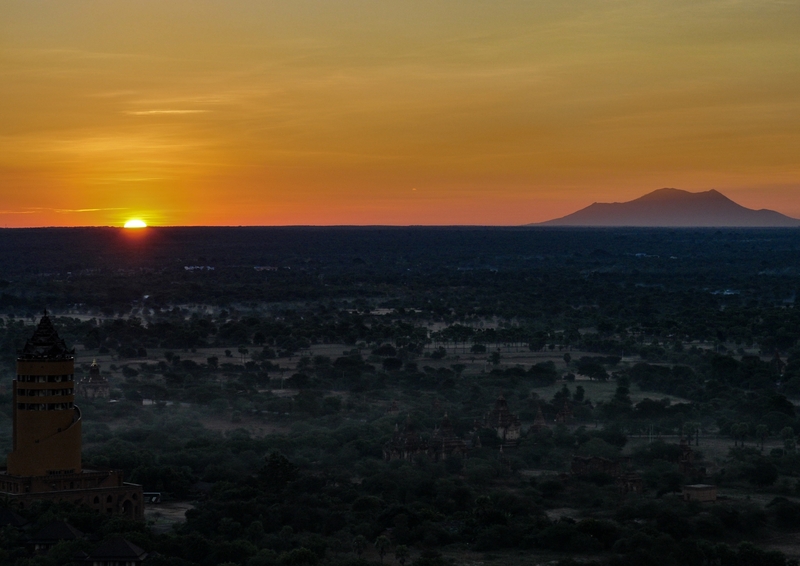 To say that there is truly nothing like it in the world would be an understatement. 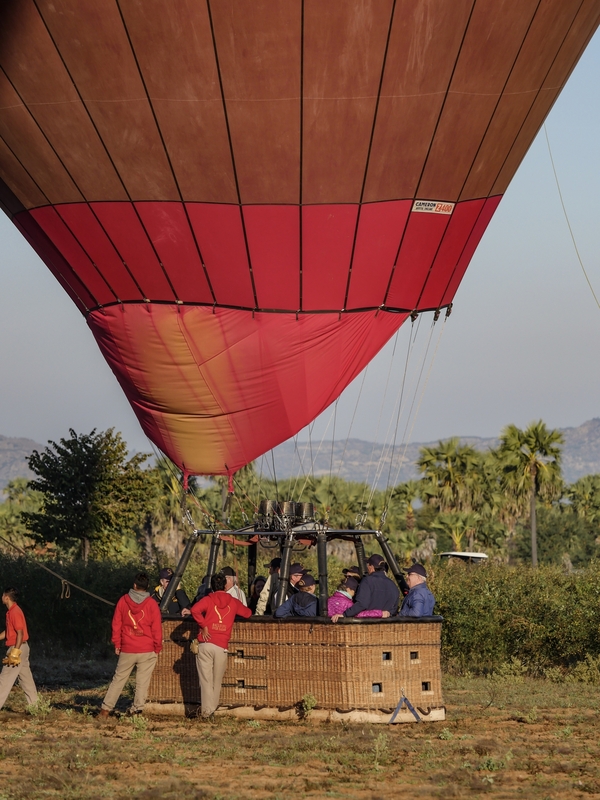 We’re close enough to wave to families breakfasting on the ground or starting their days work in the fields. 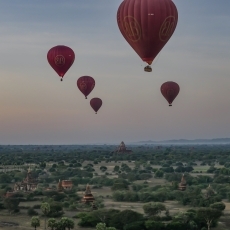 They wave back. 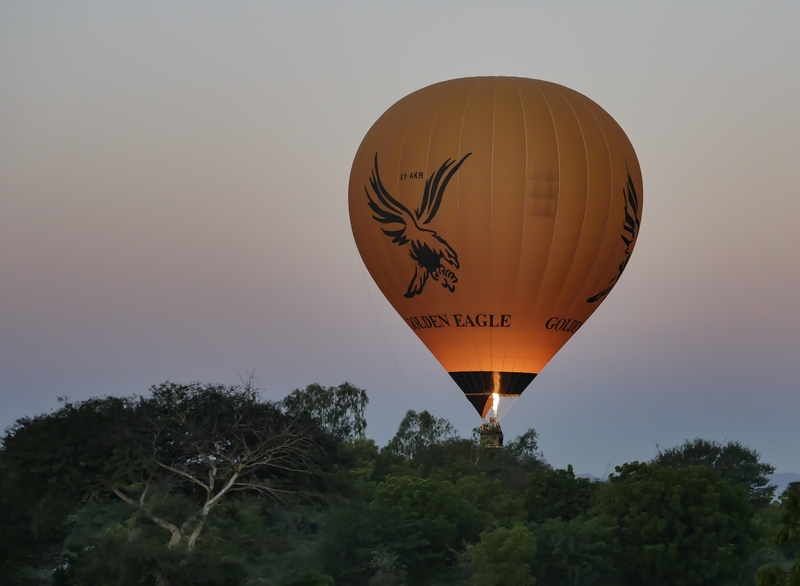 MINGALABA ! ! 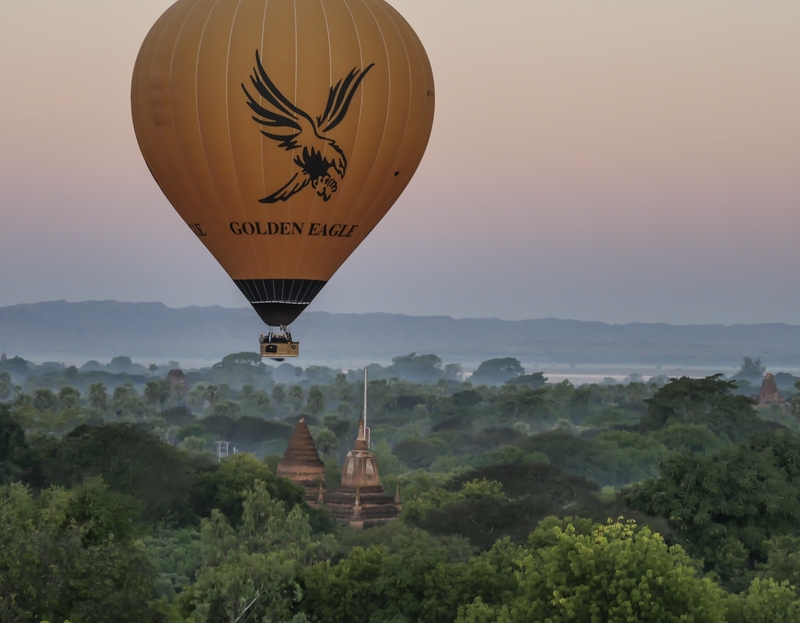 — hello in Burmese, is shouted back and forth. 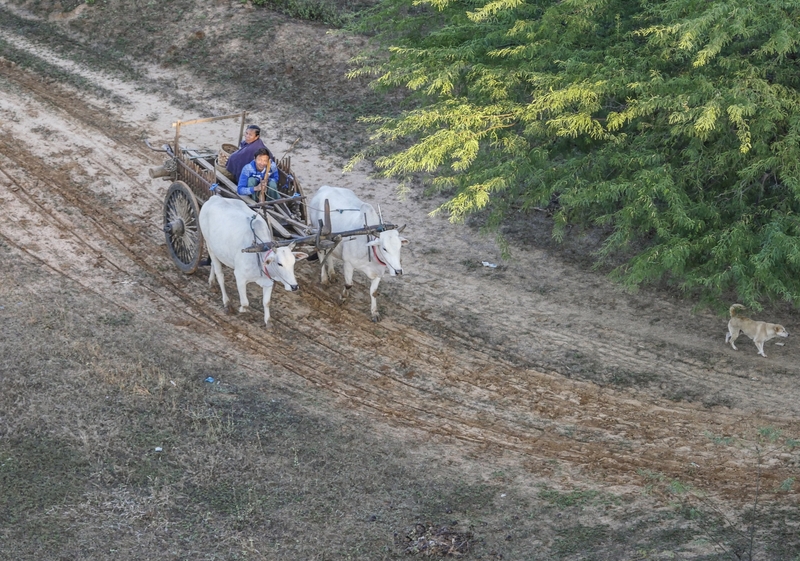 Dogs chase each other and pelt through the fields. 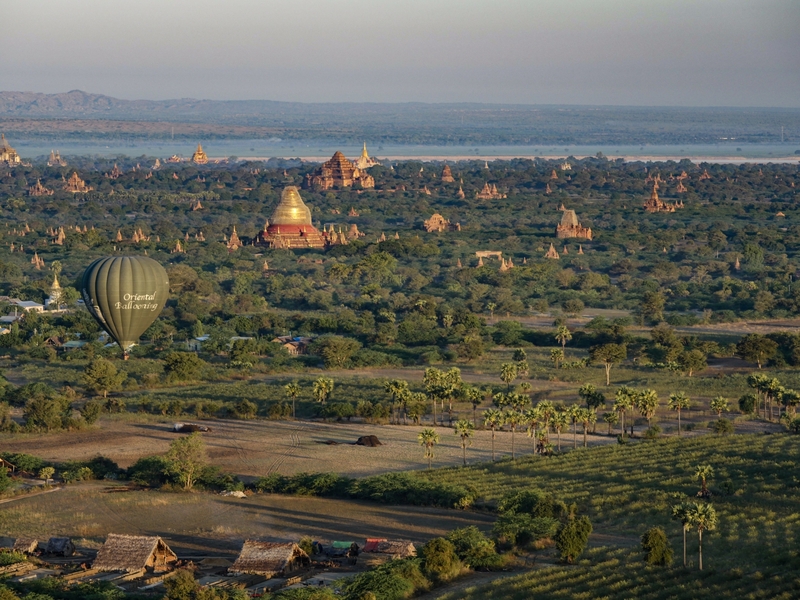 We fly over grassy fields and farms growing millet, melons, sesame and peanuts. 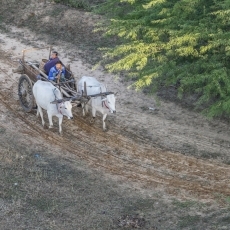 Our Canadian built wooden bus (our transport about town, see picture) was brought over in World War II for the purposes of transporting troops. 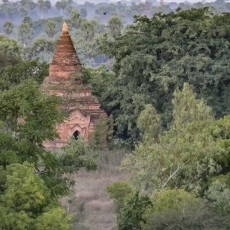 At the end of the war, the cost of shipping all the buses back to Canada was prohibitive and so they were left behind. 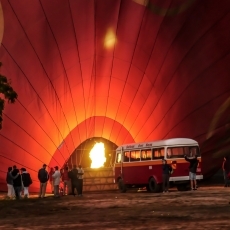 Today the fleet has been lovingly restored and they must be some of the most unique buses in the world!